Welcome to Candlewood Suites Fort Smith. Located just a few short miles from major corporations such as O.K. Industries, Planters Company (Kraft), Baldor Corporation, Coca Cola Corporation, Mac Steel, Gerber Products, Whirlpool, and Georgia Pacific, this all-suite hotel has all that youre looking for and so much more.Enjoy spacious, well-appointed accommodations that will feel like home. Cook your own meals in a full kitchen, stock up on whatever you need from The Candlewood Cupboard, relax in the overstuffed recliner as you watch one of the movies from our Candlewood Library, do laundry or work out when its convenient for you.Get more done with business-friendly amenities such as an executive desk with speakerphone, free high-speed Internet, a state-of-the-art business center, and a complimentary daily newspaper.Dont miss area attractions such as the Fort Smith Museum of History and the Fort Smith Trolley Museum.Whether youre traveling for business or for pleasure, you can Consider Us Home. 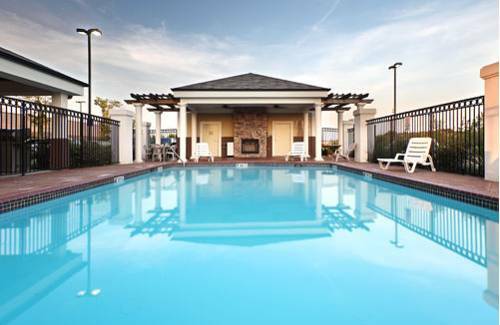 Rely on Candlewood Suites Fort Smith to make your stay one to remember. 12 foot high monument-like stone bears Runic alphabet marking dating back to 1012 AD. Believed to have been carved by the Vikings who, as we all know, came to Oklahoma 500 years before the time of Columbus. With interpretive center on grounds. ~33 miles from Fort Smith.